Both KYRA and On Cue were entered into the Advanced division this weekend at Red Hills. Our girls ROCKED IT. KYRA took 1st! On Cue took 4th! These mares are out of this world with Boyd in the irons. KYRA – ears up and ready for her next opponent. On Cue making easy work of the Cross Country course. This entry was posted in News on March 11, 2019 by Kelly. 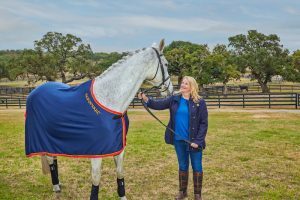 Meredith Kay of San Antonio Woman interviewed Christine for their article on the leading equestrian ladies of San Antonio. The entire article can be found here. It’s an honor to be included with so many amazing women. Thank you SA Woman! This entry was posted in News on January 16, 2019 by Kelly. 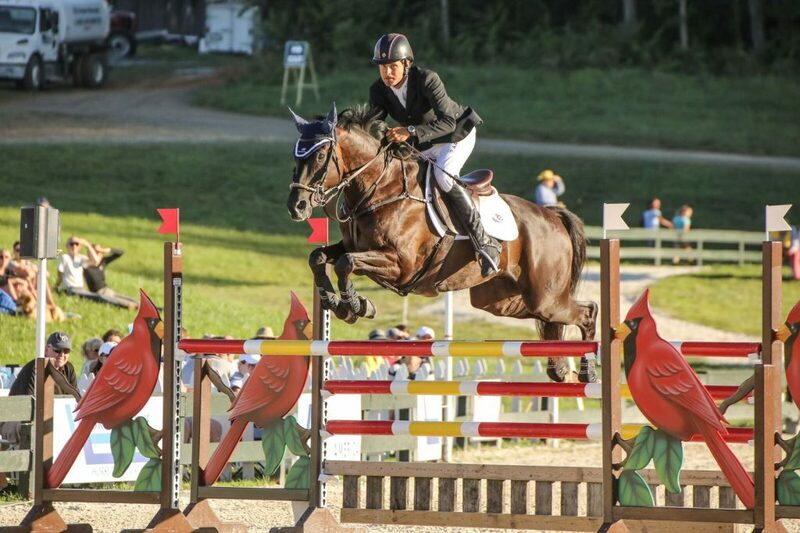 Boyd & KYRA won the CIC2* at the Virgina CCI/CIC/Horse Trails! This entry was posted in News on November 12, 2018 by Kelly. 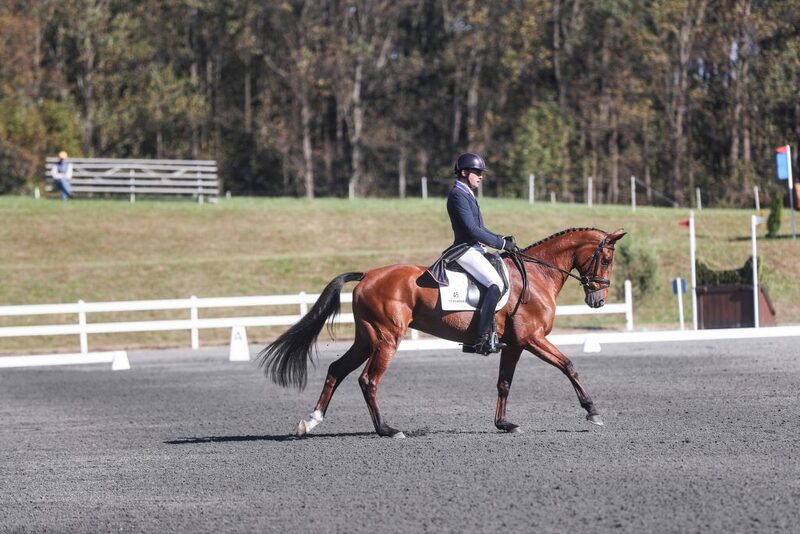 On Cue won the CCI2* at Fair Hill! This entry was posted in News on October 23, 2018 by Kelly. Man! It has been a minute. South Texas is slowly but surely drowning under all of this seemingly never ending rain. 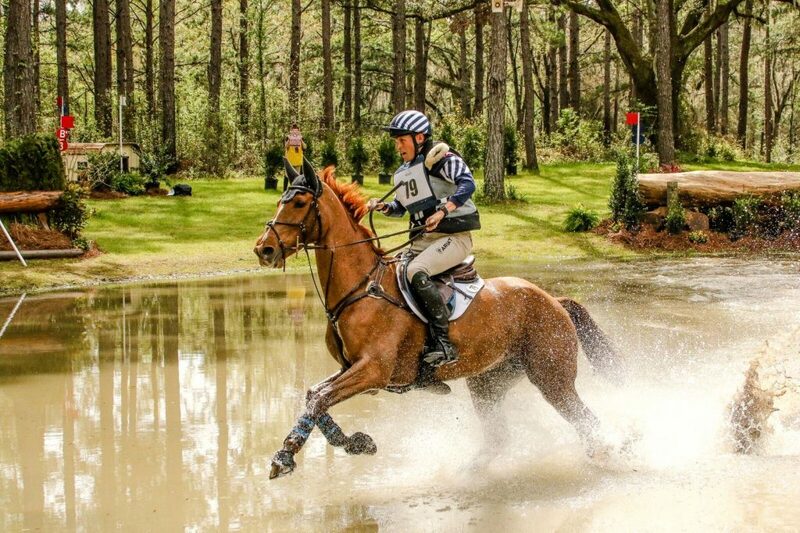 Things at home base are on the slower side as far as training since the entire place is under water, hacks and trail rides are all we have for now, sunny days are on the horizon…hopefully. We haven’t updated since the announcement of the WEG nomination. Thomas and Boyd finished! 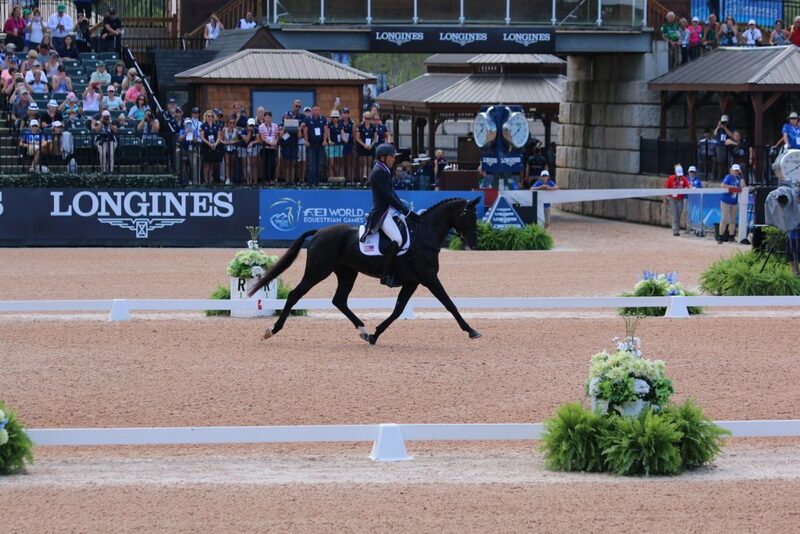 They had their personal best dressage test, including the nicest flying changes we have seen thus far ;). 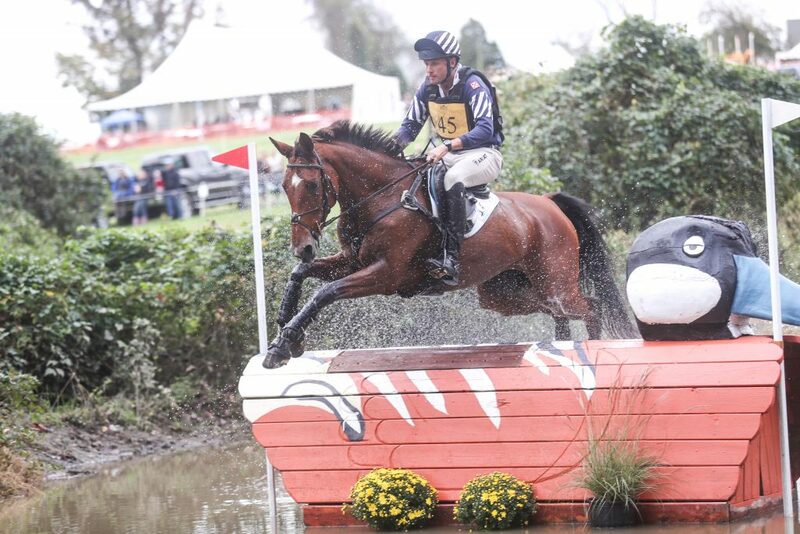 Cross Country was very tough, Thomas had a little slip up but the pair finished slightly over time. Three rails down in stadium jumping, but we went to WEG knowing that this was Thomas’ second 4*, and if he completed the course, we were happy. Of course you always want to win in this sport, but seeing the heart in this horse every time he is asked a tough question, is truly astounding. I’m sure we can speak for Boyd, and our horse, that being asked to represent the USA, is something we will never take for granted. 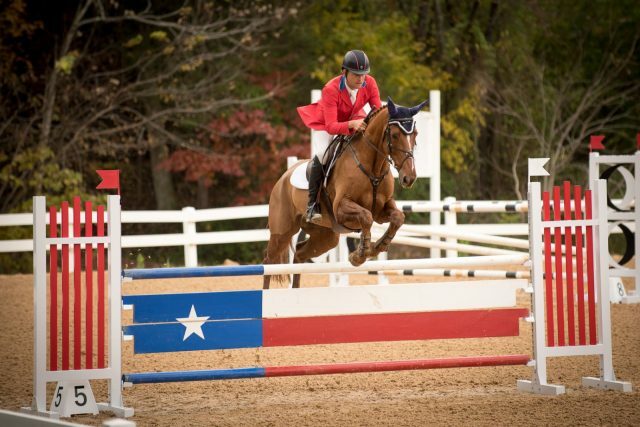 It was announced that Boyd and Thomas will be headed to the World Equestrian Games to represent the USA come September. 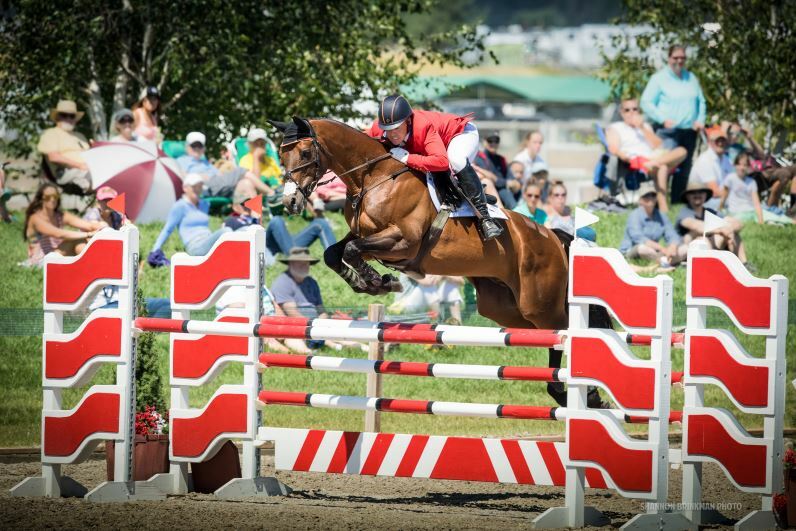 In the seemingly short amount of time these two have been a team, we could not have imagined that they would place 11th at Land Rover Kentucky Three Day Event, let alone be chosen to go to WEG. What an amazing time for Boyd, Thomas and all of us here at Indian Creek. Thank you to everyone who continues to support us! We could not be more thrilled! This entry was posted in News on July 13, 2018 by Kelly. A great recap from Boyd by Amber Heintzberger. Thank you for all of the great photos and coverage, Amber!!! 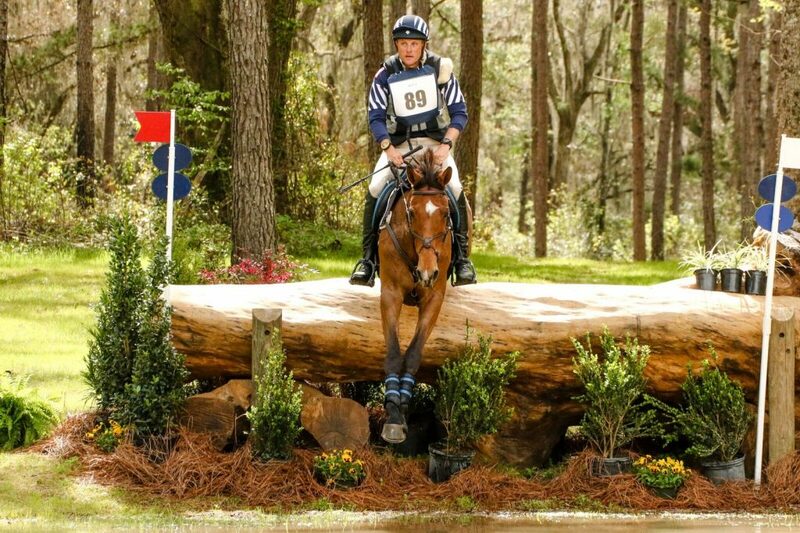 Next up – Land Rover Kentucky Three Day Event for Thomas!!!! This entry was posted in Events, News and tagged KYRA, On Cue, Thomas, Tsetserleg on April 9, 2018 by Kelly. 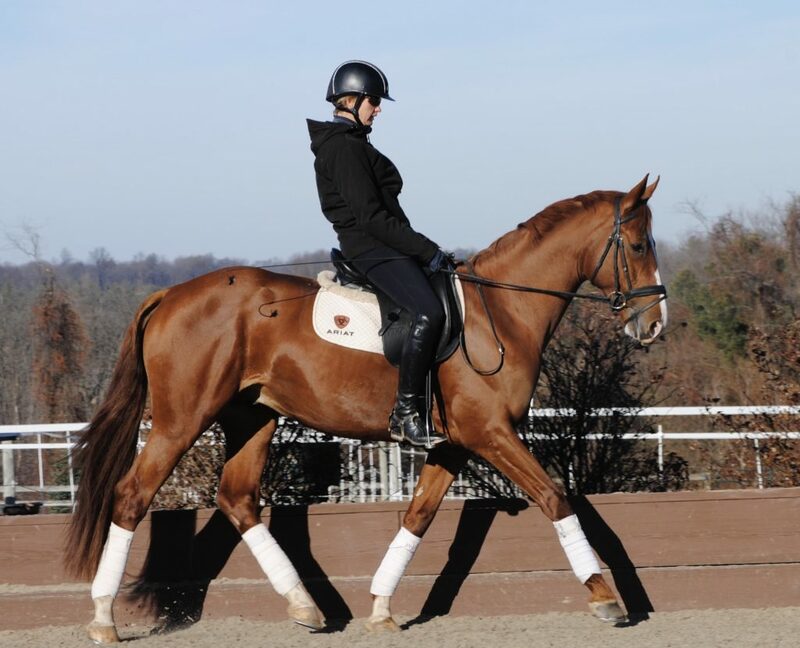 We have donated one breeding to each of our stallions, Halimey Go *Ps* and Rusticus, to the Stallion Service Auction hosted by the American Trakehner Association. This is a great chance to breed to some top stallions at a fraction of the cost to you! To see more information on available stallions, or to bid, click here. This entry was posted in News on February 7, 2018 by Kelly. 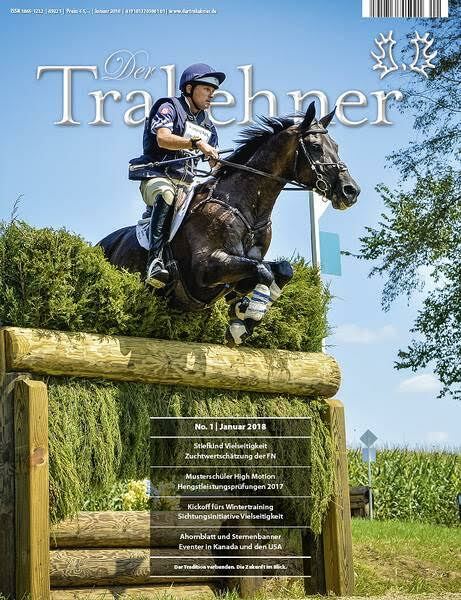 Starting off 2018 with a pleasant surprise, the cover of Der Trakehner! This entry was posted in News and tagged Thomas, Tsetserleg on January 22, 2018 by Kelly.